**This was written as a class assignment for Science Writing I at UC Extension. Explain how something works. 250 words maximum. 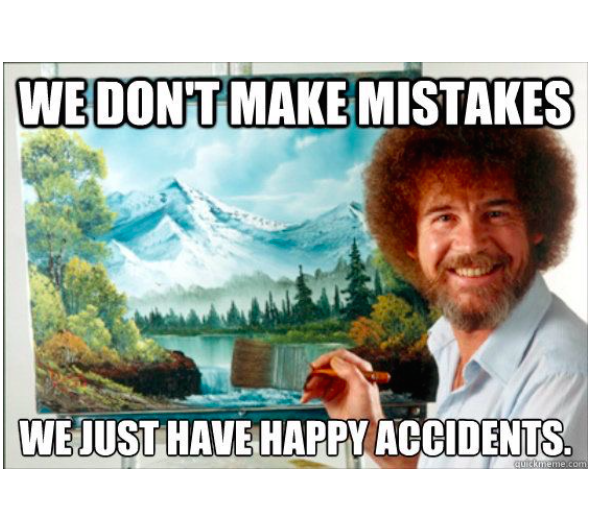 Bob Ross, while painting his famous landscapes, often says “there are no mistakes, only happy accidents.” He’s clearly talking about more than just art — he’s giving life advice. The mantra could also be applied to beer, though unlike a stray brushstroke, off-flavors are sometimes impossible to blend out. Yet that’s likely how sour beer got its start, as an accident. Early brewers used open vessels and no sterilization, so acid-causing bacteria was easily introduced. Beer begins as water and crushed malted barley. The resulting sugary liquid extract, called wort, is then boiled. Bacteria can flourish once the wort cools if the next step, adding hops and boiling the mixture again, isn’t undertaken quickly. One type of bacteria, called lactobacillus, is now intentionally added to wort by some brewers to create a sour or tart flavor. It converts sugars into lactic acid, which also gives yogurt its tang. Another way to produce sour beers is through the use of the yeast Brettanomyces, which produces acid as it ferments. Many breweries are hesitant to use so-called Brett because it can get loose and infest other vessels and beers. There have been instances of breweries having to close for weeks to properly disinfect their equipment after an outbreak of Brett. Bacteria is easily killed once the beer reaches its target tartness by simply continuing the brewing process — adding hops, boiling (killing the bacteria), cooling, and then adding yeast. Cheers to cheek-puckering brew! And Bob Ross, for the affirmation.